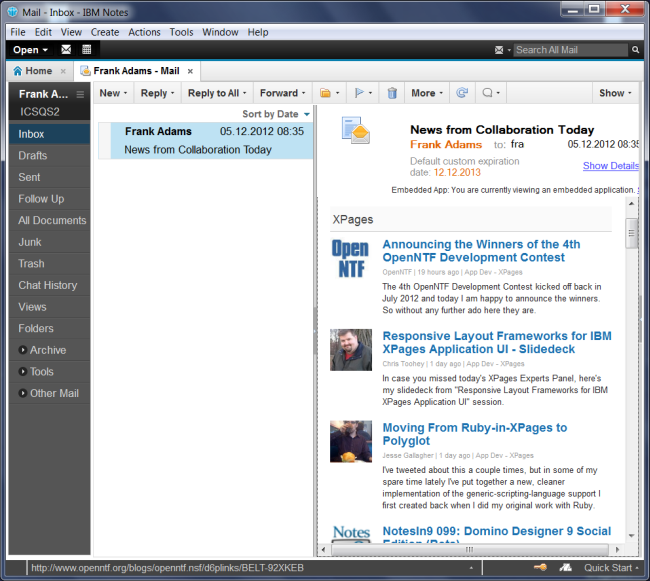 One of my favorite features in the public beta of IBM Notes and Domino 9.0 Social Edition is the embedded experience. 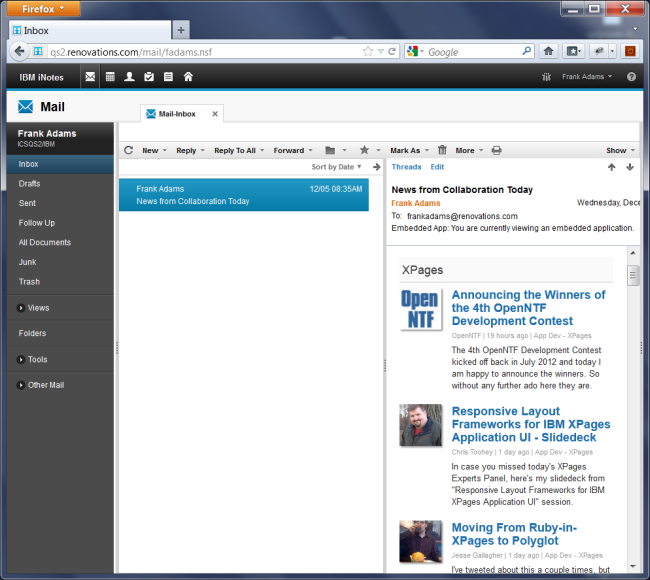 As in IBM Connections 4 OpenSocial gadgets can be developed to embed custom applications. Additionally the ‘generic out of the box URL gadget’ can be used to embed any web page. I’ve used this generic gadget in a simple sample to embed XPages in Notes and iNotes. The scenario below renders the XPages application Collaboration Today which allows anonymous access. I also created another example that requires authentication and single sign on works in both Notes and iNotes (via ltpa and account).